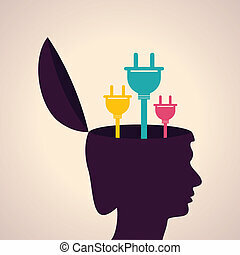 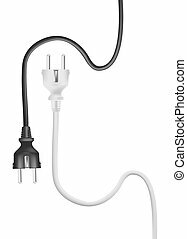 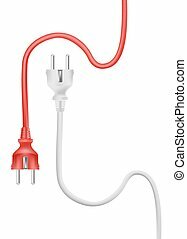 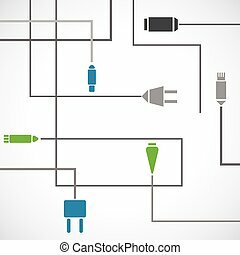 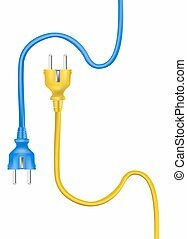 Electric wires and plugs. 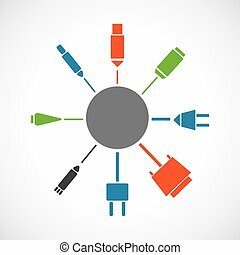 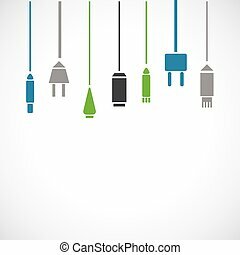 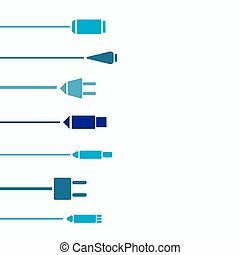 Elements used to plug electric devices. 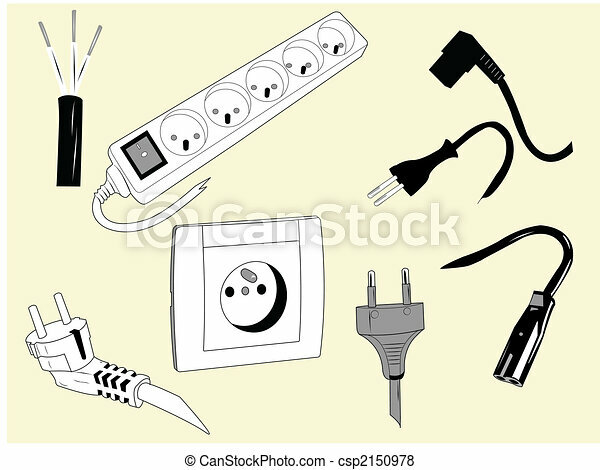 Elements used to plug electric devices. 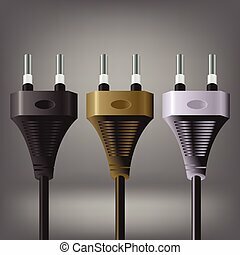 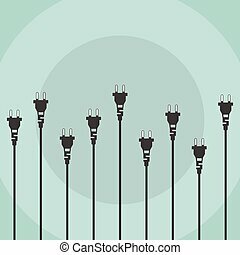 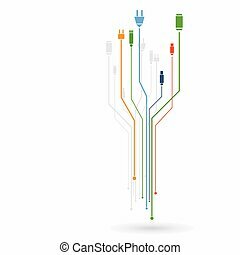 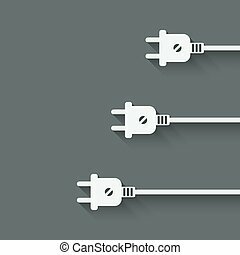 Electric plugs vector icons set in black.